Brian has had many years of teaching and live playing experience. He has been formerly educated at Humber College. 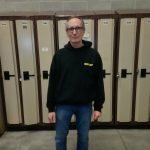 Brian has taught music theory at The Music Spectrum in Bramalea as well as guitar and bass. He will teach beginners to advanced. No absolute beginners for Brian. Novice and up. Brian teaches in his home in Brampton or he will travel to you in Brampton or Mississauga.